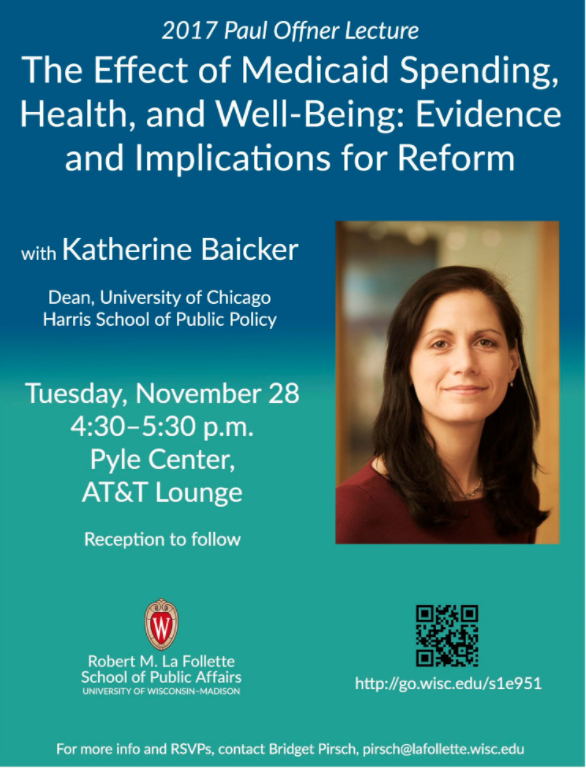 Health economist Katherine Baicker will give the 2017 Paul Offner Lecture, titled, The Effect of Medicaid Spending, Health, and Well-Being: Evidence and Implications for Reform. Event located at the Pyle Center, AT&T Lounge. Reception to follow.